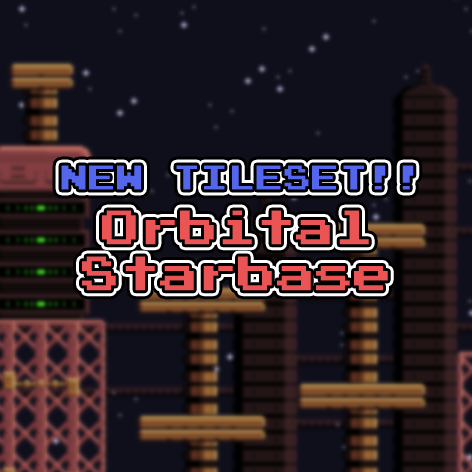 The new tileset Orbital Starbase is now available for Patreon backers! 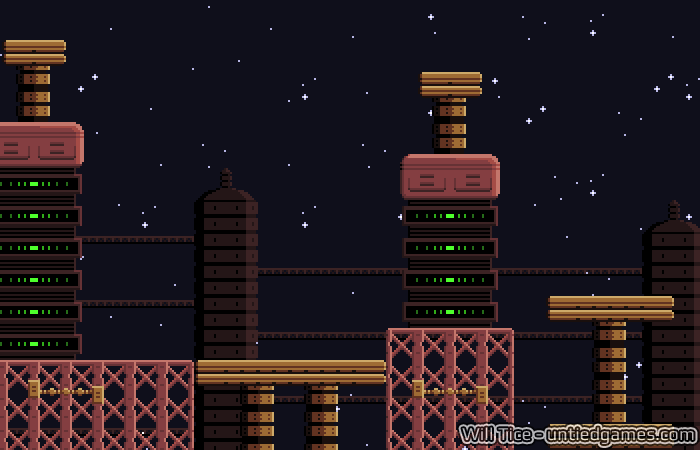 So I know last week I promised a double tileset release, and it unfortunately didn’t happen. Life got in the way, literally. I was out biking, and I went down a hill and around a curve really fast, and suddenly there was a freaking deer. It was literally right in the middle of the path, staring at me. I didn’t have time to stop, but I tried. I ended up falling and messing up my right hand and arm a bit. Luckily nothing was broken, but for a couple days it was uncomfortable to use the mouse. It’s healing pretty nicely, but I split my hand open again this morning and it sucked. Gotta be more careful I guess! Long story short, that’s why there was no double release. I’m not sure when I’m going to have time to do a double release, but let’s just leave it at this: Sometime in the future, there will definitely, absolutely be a double tileset release! I don’t know when, but I’ll make it happen. The Atmocopter demo is also coming eventually. I seriously underestimated how long it would take to redo the level, and the deer encounter didn’t help at all. The good news is that I’m doing a devlog video on Monday, whether the demo is ready or not! There’s cool new stuff in the game, and I can’t NOT show it off. Lots of new graphics, new hazards, and more! Look forward to the devlog! Anyway, go check out the tileset! If you like it, please consider supporting me on Patreon! You’ll get access to this and a lot more. Already a Patreon backer? Grab this tileset right now!